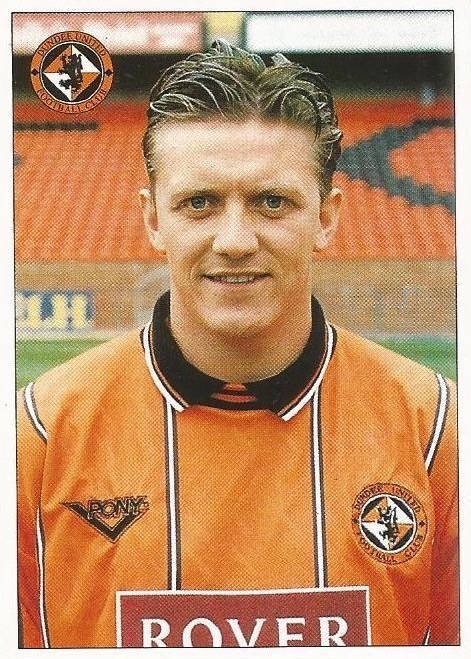 Scott signed from Hearts, with the Edinburgh side receiving Allan Preston plus a reported £215,000 in exchange. 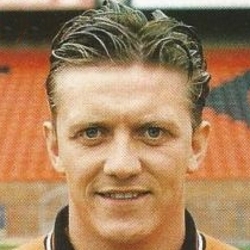 He featured regularly in his first two seasons but suffered a serious injury in March 1994. Unable to fully re-establish himself in the first eleven he moved to Falkirk in January 1997 for a nominal fee. Scott was born on this date in Edinburgh. What a difference a week can make. The depression following Rangers 4-0 win at Tannadice was partially lifted by the midweek signing of Scott Crabbe and what better place could we visit to complete the rehabilitation than Pittodrie, our favourite ground. Pre-match odds of 3-1 against a United victory looked generous , but as the match entered its final phase a draw seemed inevitable until Duncan Ferguson popped up with a last minute winner via the head of Aberdeen defender Gary Smith. Scott Crabbe made his United debut as the Tangerines got off to a good start as Snelders made saves from Billy McKinlay and John dark. 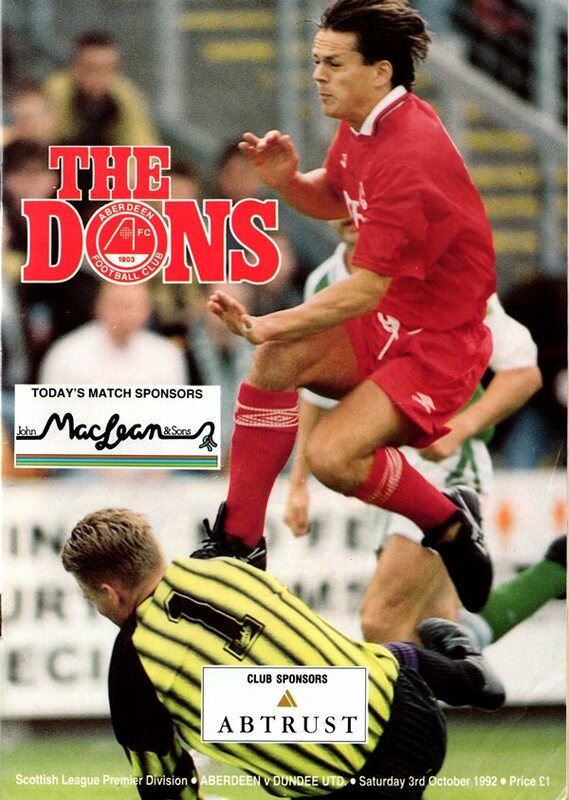 John dark cleared a Mixu Paatelainen header off the line and early in the second half Jim Mclnally almost kept up his excellent scoring record against the Dons, but Snelders parried his net-bound shot.